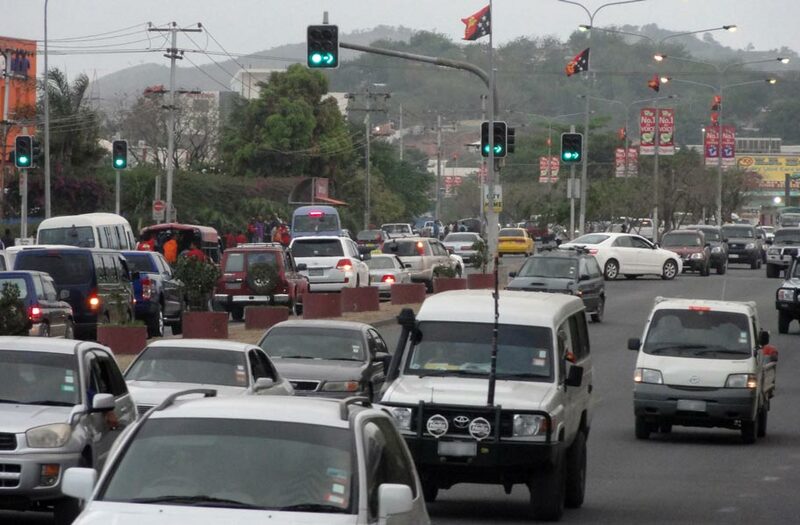 THERE is not enough land in Port Moresby to build public car parks, National Capital District Governor Powes Parkop says. Parkop’s comments follow calls for the city authority to build car parks to cater for the growing number of cars in the capital. “Only problem is, we do not have enough land to build such facilities,” he said. Parkop said private companies would be asked to build parking complexes so that they could operate on commercial basis. “We have engaged a contractor to enforce and maintain existing parking space, which they will start soon,” he said. Parkop said for the long term, they had agreed to build more car parking spaces, including parking complexes. In the meantime, director Traffic Operations and acting Chief Superintendent Joseph Joe is urging drivers to be mindful where they park their vehicles . “In absence of the car parks, people are forced to park on roadsides and at places that they should not park,” Joe said. He said because of that people keep causing inconvenience in the flow of traffic. Joe also raised concerns that there was a need for a bigger road network in the city. “The city is developing very fast and because the roads are not big enough, frequent traffic jams are experienced in all parts of the city,” he said. Joe said that this had posed a big challenge to them as to how they would control traffic and accidents that occur on the roads as vehicle numbers were high ion the city. He said lack of landf is the major concern tro built car park area so that vehicles were parked properly.